Love Inspired brings you four new titles for one great price, available now! Enjoy these uplifting contemporary romances of faith, forgiveness and hope. 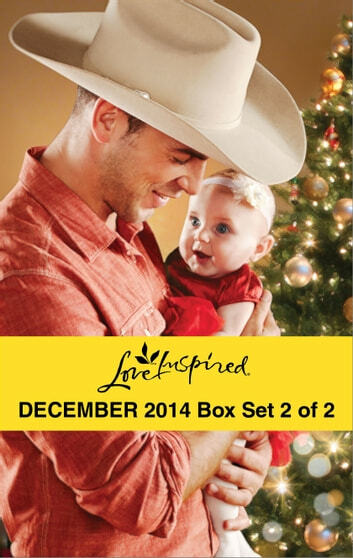 Look for bundle 1 of 2 and enjoy more inspirational stories every month from Love Inspired! Former army captain Max Campbell is back in town to help his ailing dad. Can he prove to old love Tina Martinelli that's he's sticking around, not just for the holidays, but for forever? Amy Morgan hires Jason Barrett to build sets for her dance school's holiday performance. Soon she'll have to choose between her ballerina dreams and building a future with the charming lumberjack. When rodeo cowboy Tanner Fortier ropes ex-fiancée Keira Bannister into fixing his riding saddle, the reunited couple just might have a chance to repair their lost love. Karla Kennedy is eager to leave Gordon Falls, but working with hunky fireman Dylan MacDonald on the firehouse anniversary celebration has this city girl rethinking her small-town future.